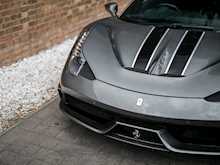 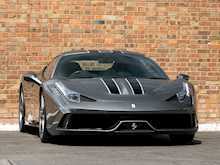 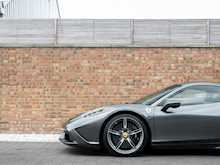 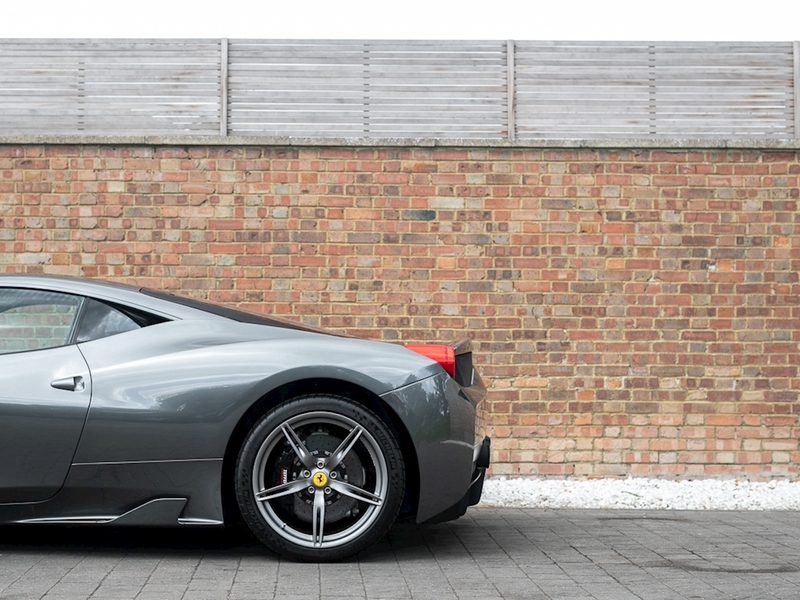 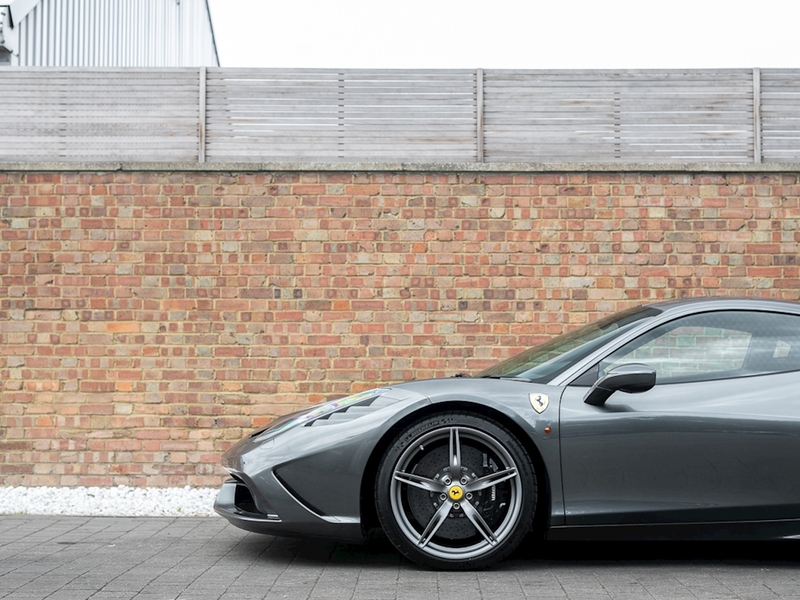 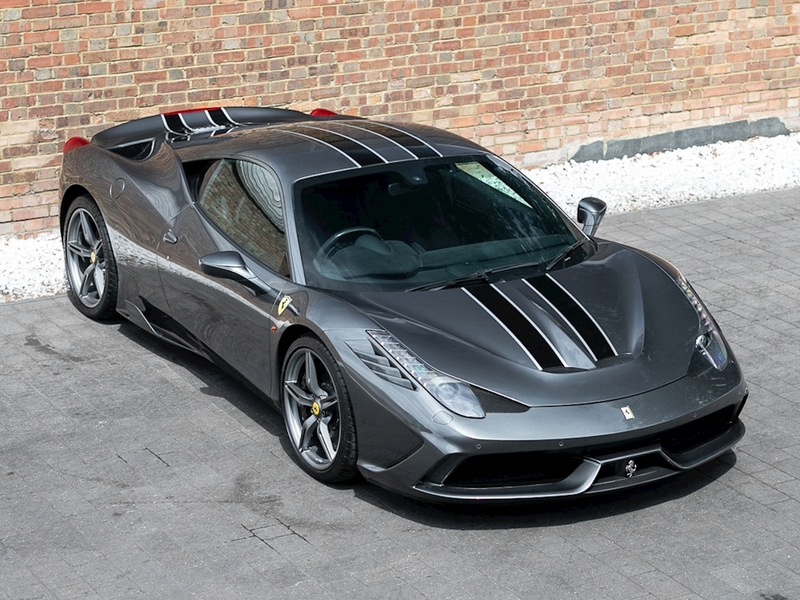 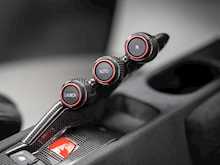 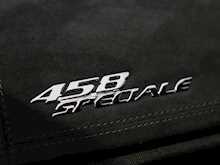 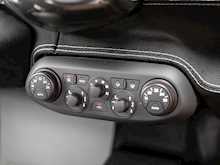 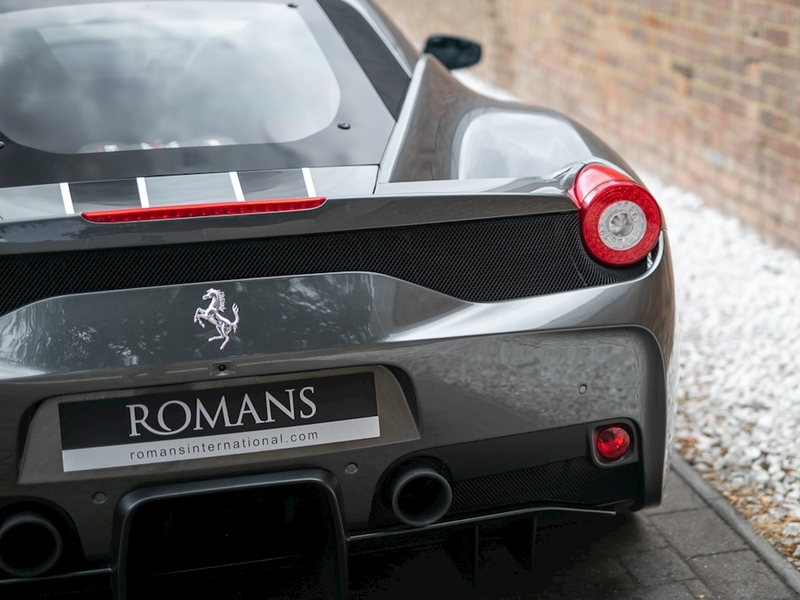 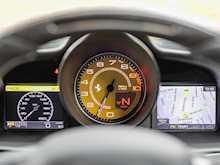 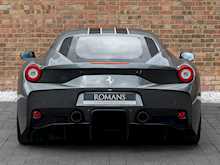 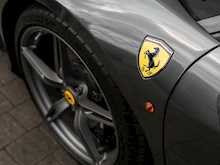 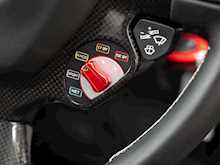 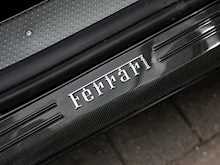 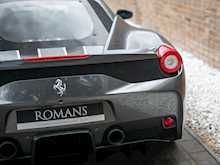 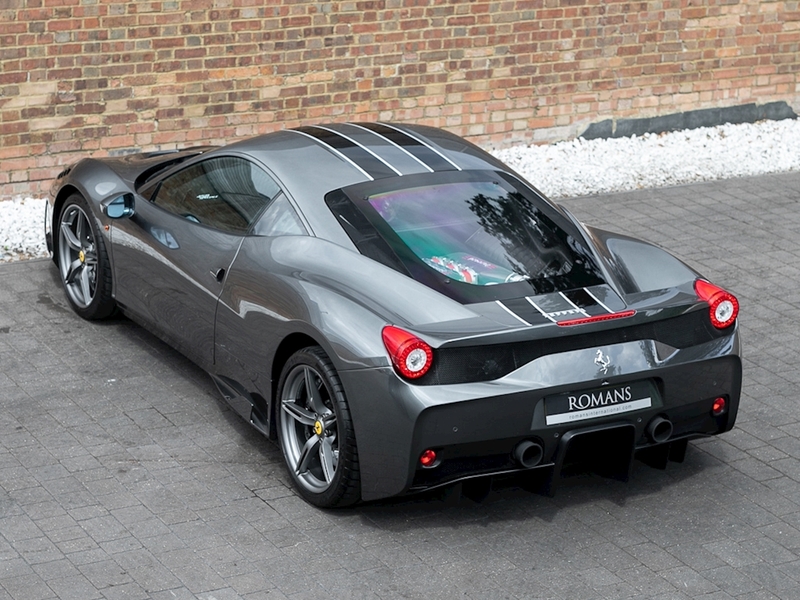 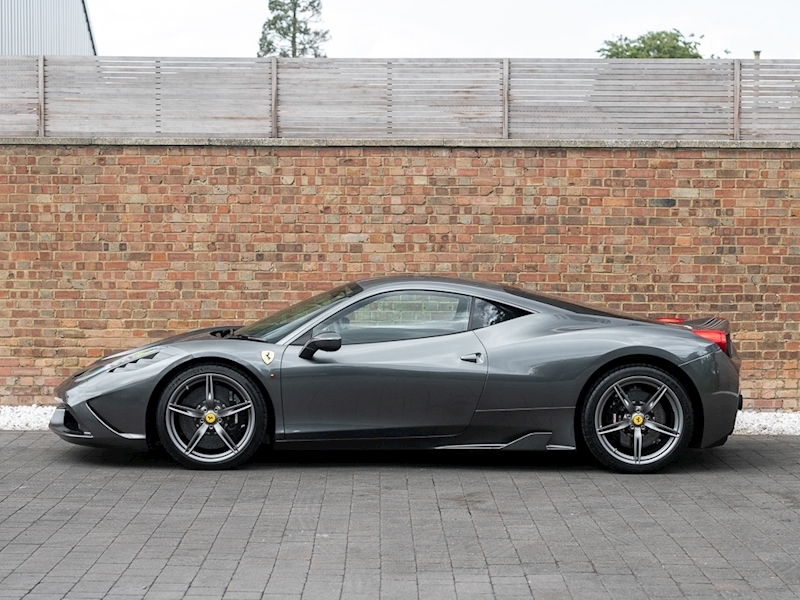 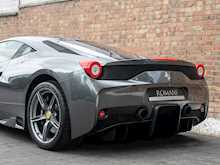 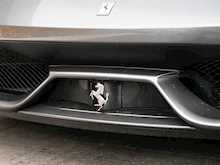 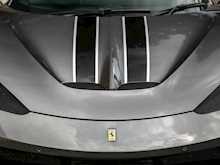 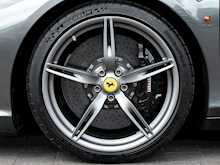 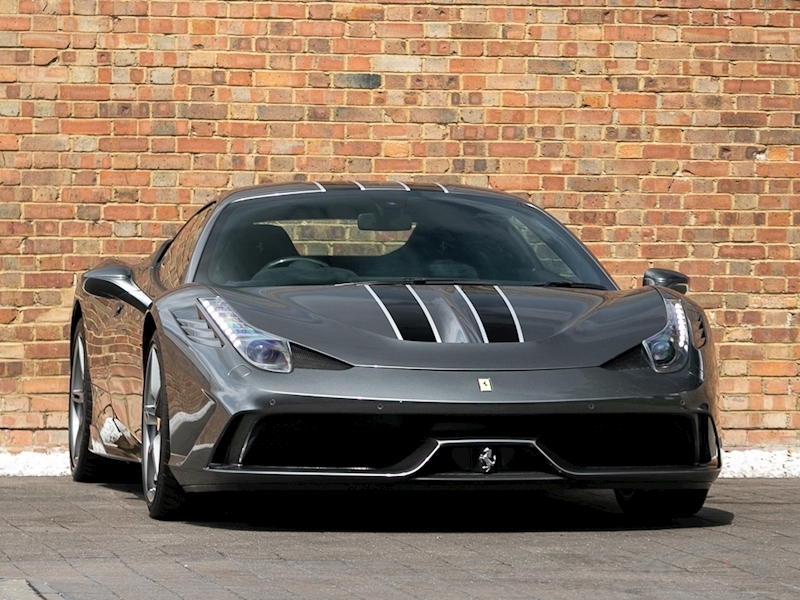 The Ferrari 458 Speciale is the high-performance variant of the already sensational 458 Italia. 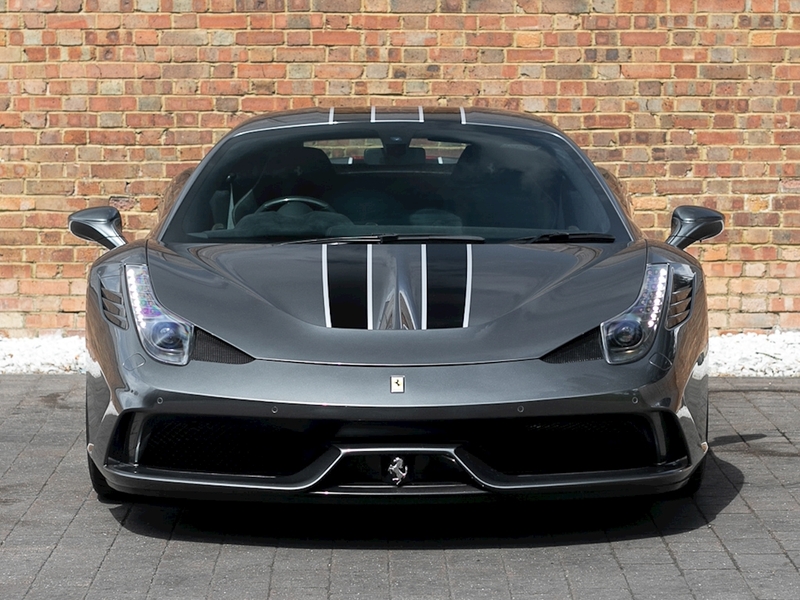 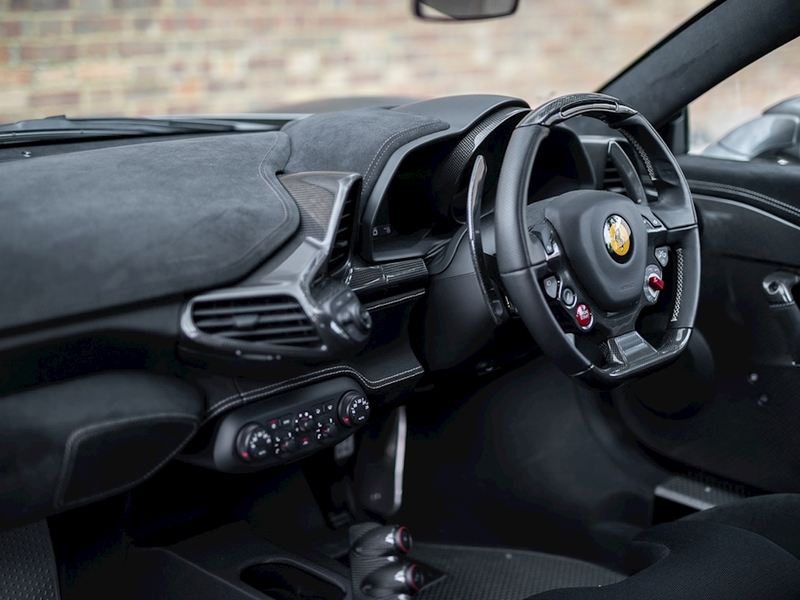 The Speciale receives a myriad of performance upgrades starting with increased power from the 4.5L V8 jumping to just under 600bhp at 9000rpm. 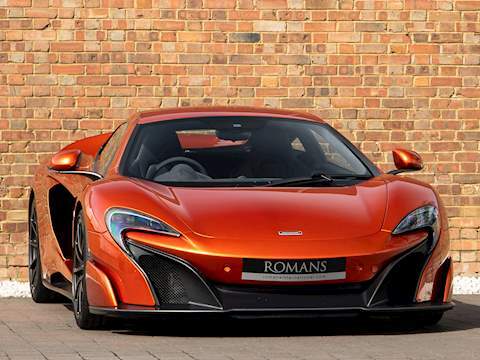 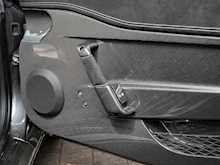 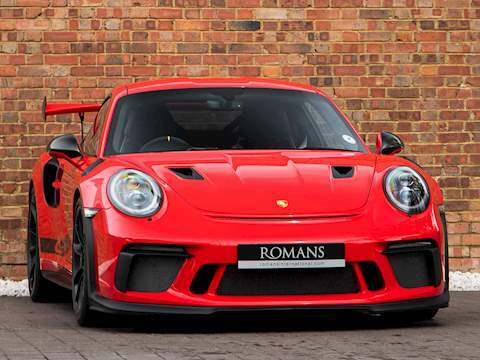 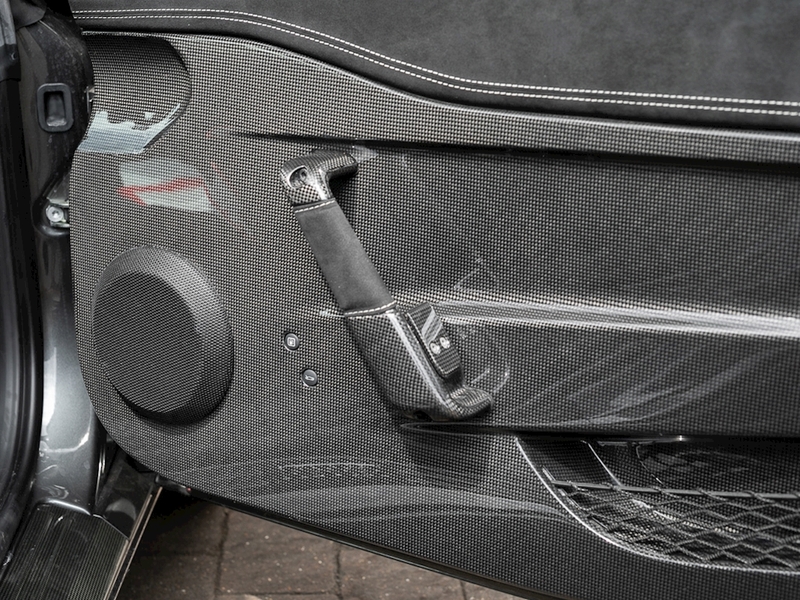 Further distinctions in the body styling include a vented bonnet, finned side sills and front/rear active aerodynamic flaps, to balance downforce and cut drag when required. 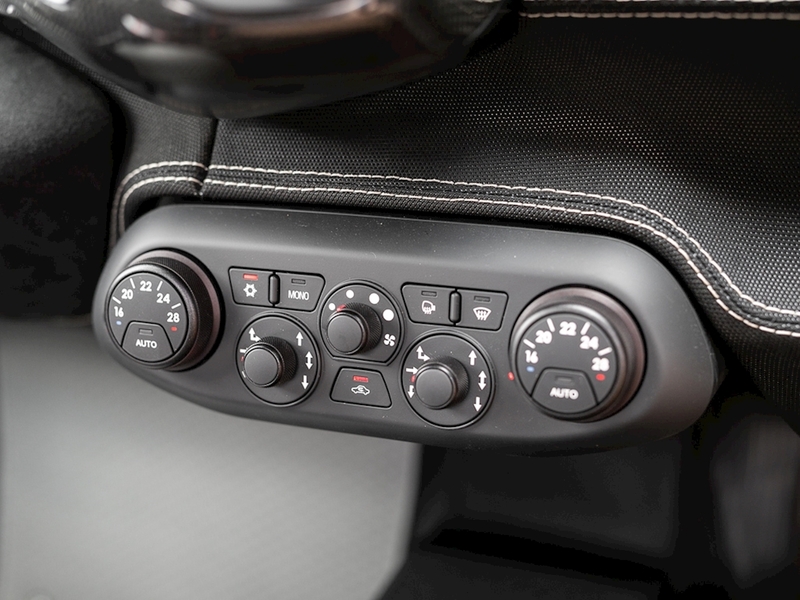 In addition to revised electronic driver aid systems there is the introduction of side slip angle control (SSC), a system which allows the driver to decide how sideways he/she would like to travel around a corner. All these improvements allow the Speciale to lap the Ferrari Fiorano test track 1.5 seconds faster than its predecessor, the already blisteringly quick 430 Scuderia. 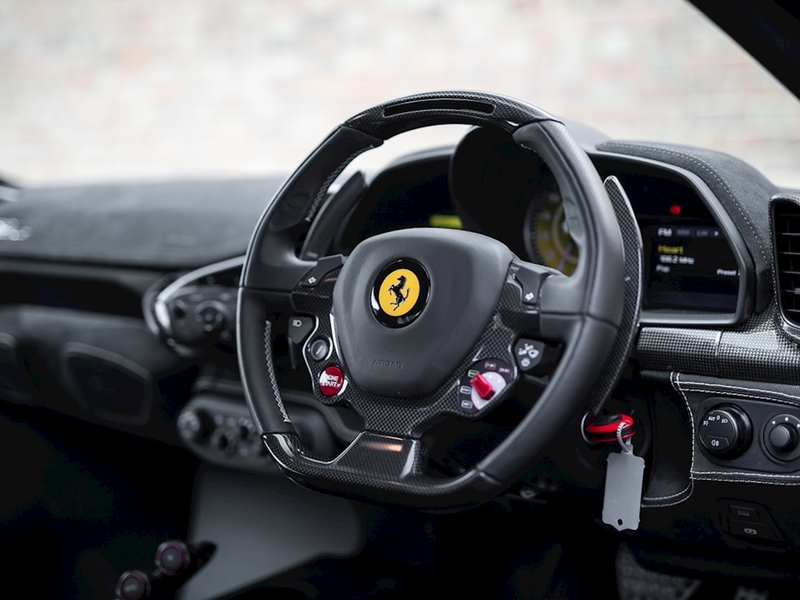 Overall this track orientated Ferrari offers awesome performance, show-stopping Italian styling and addictive levels of driver involvement. 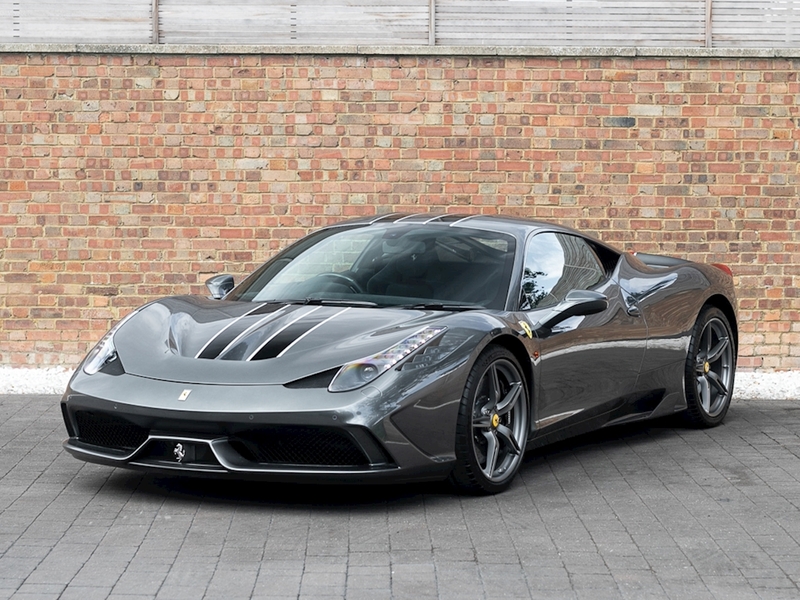 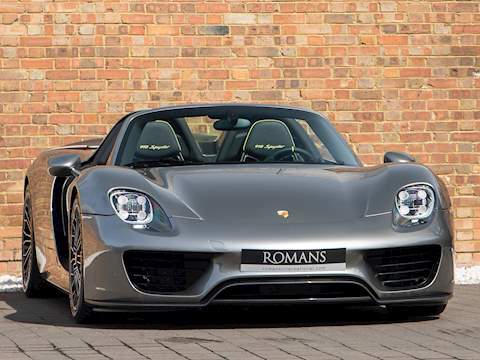 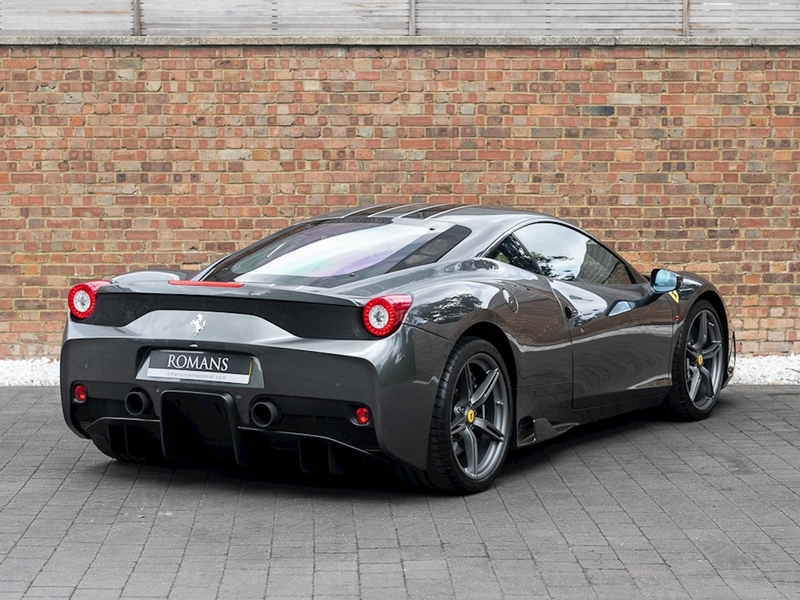 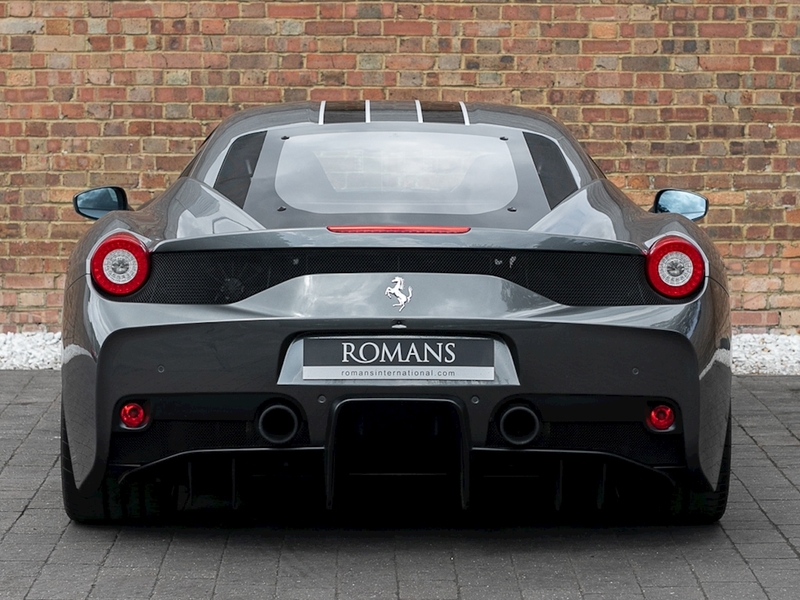 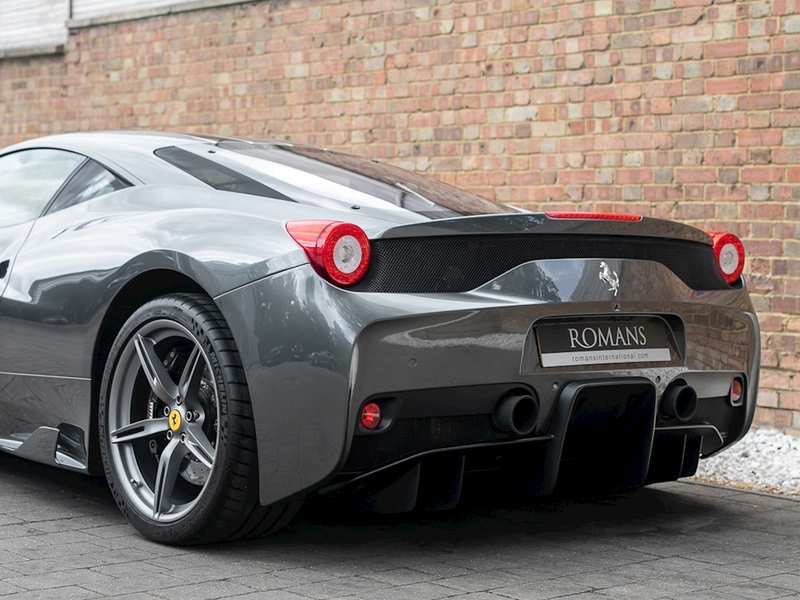 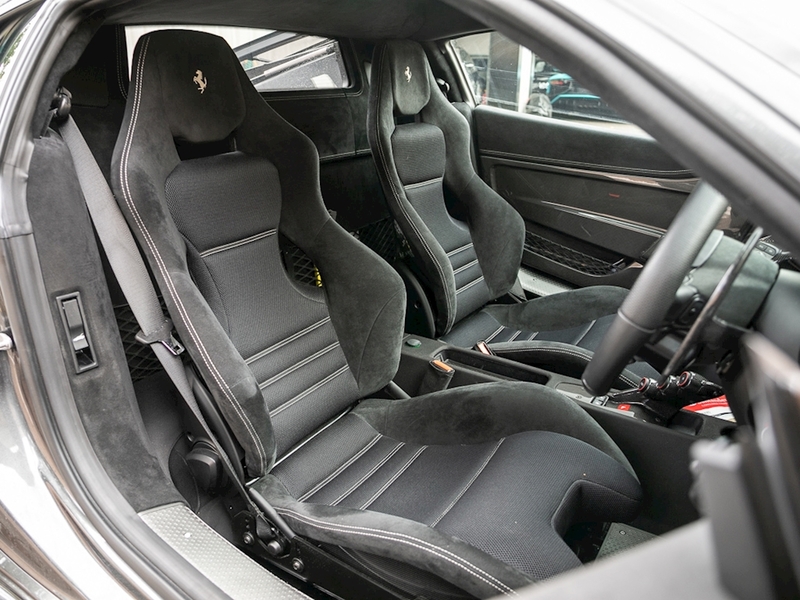 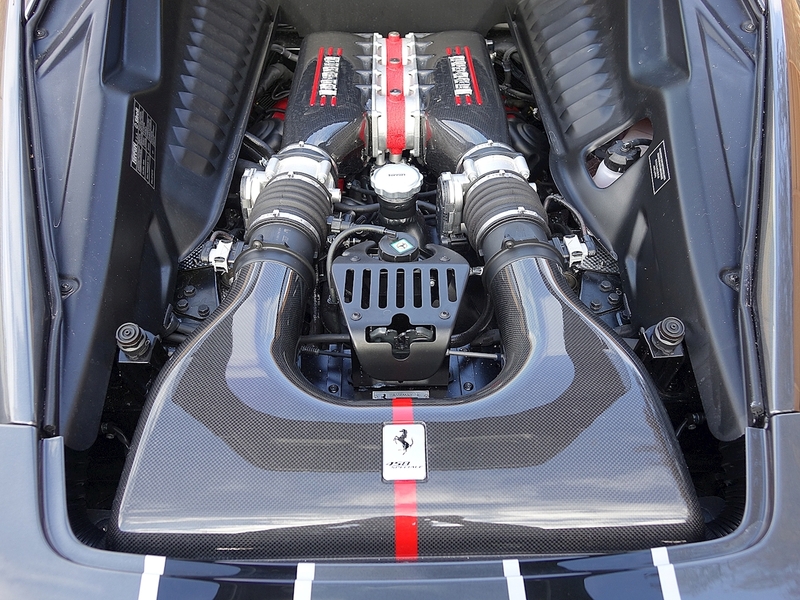 Being the last special edition V8 Ferrari makes this car a highly sought after and collectable addition to any investor's or enthusiast's garage.